Ben Carson, a sleepy, disoriented owl who can’t quite recall how he ended up in your cedar closet, will always be on hand to defend his good friend Donald J. Trump. Unfortunately for Trump, “defend” is a strong word for what has been happening here. But Carson, the most prominent African American in Trump’s orbit, says Trump is just spilling his unfiltered thoughts, not displaying latent racism. “He was probably talking out loud rather than thinking. That’s not a good thing to do when everything you say is going to be analyzed,” he said. Ah, yes. Talking out loud rather than thinking. Not a good thing to do. He will change it. 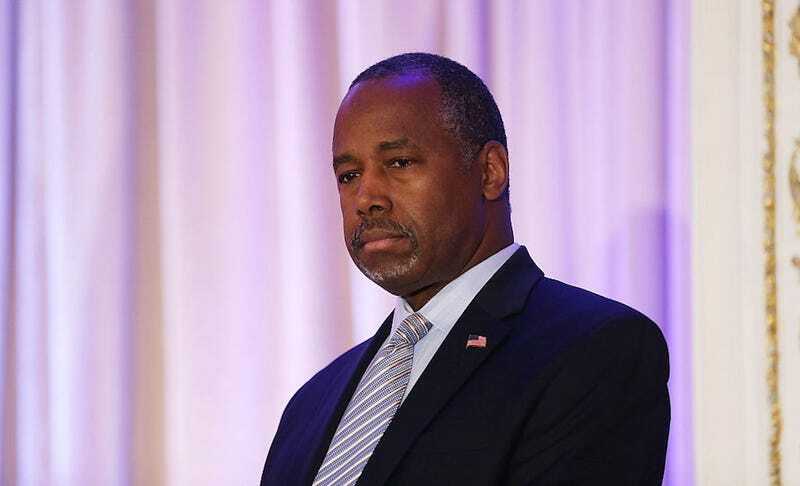 Like a very light drizzle that may just be a leaking air conditioner, Carson’s comments in favor of Trump are confusing, ineffectual, and easily forgotten. But wait, there’s more! Carson said these wary Republicans should line up behind Trump anyway. What excellent news for his pre-school application.